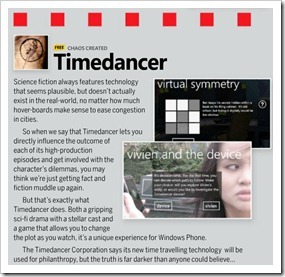 Timedancer is featured in the second issue of the Official Windows Phone App Magazine! 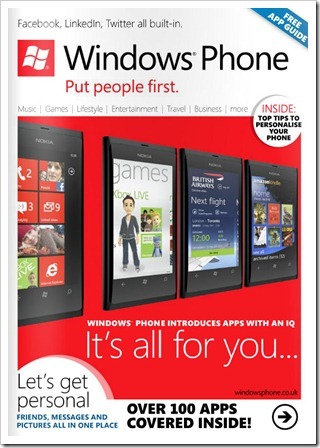 The magazine, which highlights some of the best Windows Phone apps, along with features about the latest Windows Phones, is available through the Windows Phone web site and social media sites and is a terrific read. 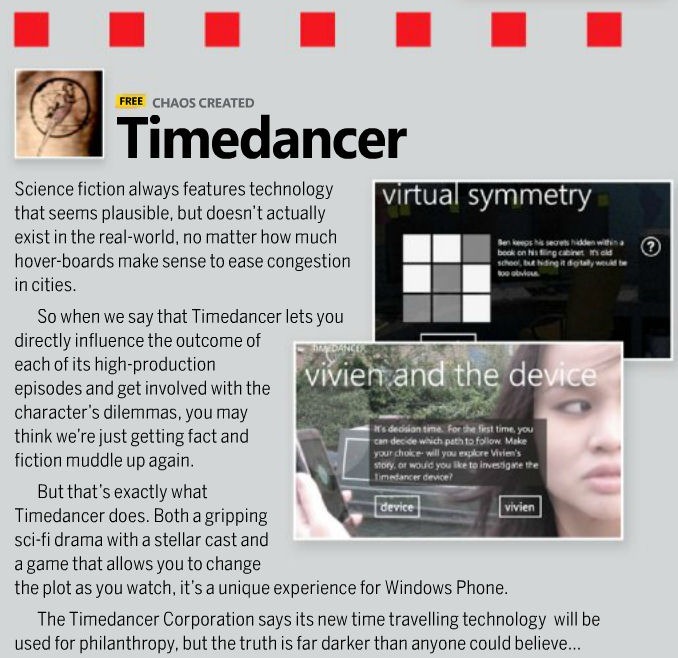 The latest issue highlights apps such as British Airways, Angry Birds, IMDB, Spotify and, did we mention, Timedancer! We’re delighted to be featured in the magazine, and appreciate all the support we’ve had from our users and fans. So, check out the magazine, download Timedancer (Episode 1 is here and Episode 2 is here) and get ready for our new app, Zombies Ate My City (coming soon) followed by Timedancer Episode 3. 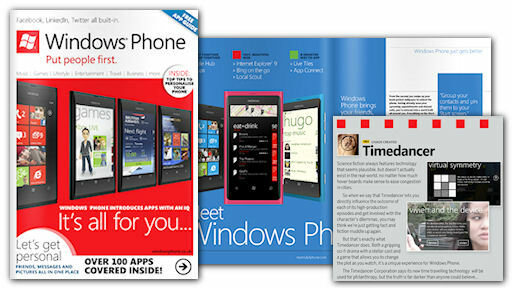 You can read the whole issue online on the official Windows Phone Facebook Page (we’re on page 19, by the way!). There’s a great selection of apps featured in the magazine to keep you going whilst we’re busy working on Episode 3.